This post has already been read 4204 times! 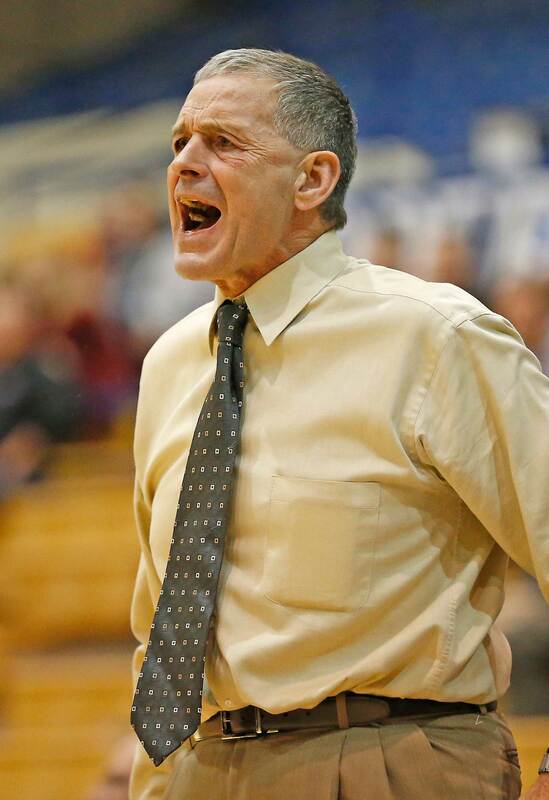 KEARNEY – Loper legend Tom Kropp announced his retirement today, and in typical fashion, did not want any attention. No news conference, no party, no farewell videos set to music. Just a news release, that his last day as men’s basketball co-head coach is June 30. 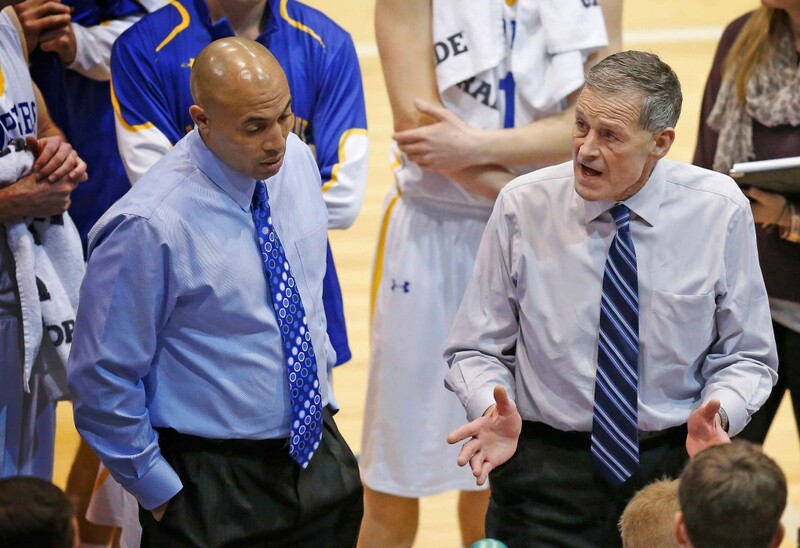 A Nebraska athletic legend, Kropp recently completed his 39th season with University of Nebraska at Kearney basketball and finishes his head coaching career with a 482-245 record, covering 25 seasons (1990-15). He has been co-head coach with Kevin Lofton for the past decade after serving as the program’s sole head coach from 1997-05. Between the 1990-96 seasons, Kropp was co-head coach with Jerry Hueser. 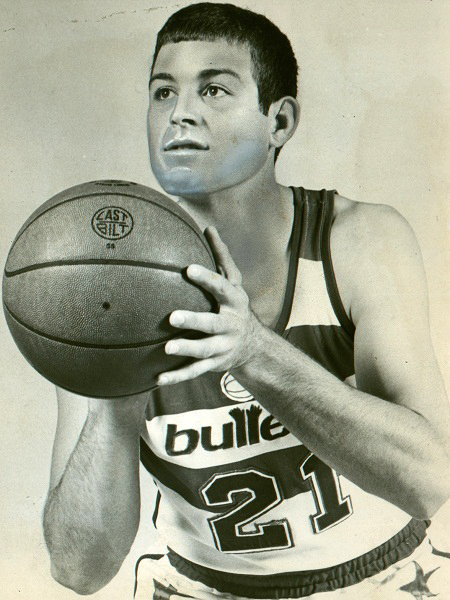 The Aurora native was an All-American basketball and football player at UNK and, after a professional basketball career, served as a graduate assistant and assistant coach under Hueser for 10 seasons. “At 62 years old, I am one of the older basketball coaches in the profession, and every year I like to re-evaluate my options. My retirement from coaching is a timely decision, because the basketball program is showing strong potential for continued success under the leadership of Kevin Lofton, whom I fully support. In addition, I always wanted to return to teaching full-time toward the end of my career. Lofton, on the Loper coaching staff since 1995, will assume head coaching duties, Plinske said. The Arizona native has 156 wins since being elevated to co-head coach prior to the 2005-06 season. This summer, Lofton will name a full-time assistant coach, as well as a graduate assistant coach. Kropp is a tenured faculty member who holds a doctorate in education, and he will teach full-time in the Department of Kinesiology and Sport Sciences for the College of Education in fall 2015. As head coach or co-head coach, Kropp saw 13 of his teams win 20 games with 11 reaching the NCAA Tournament. Winning three RMAC (Rocky Mountain Athletic Conference) regular season titles and two RMAC Tournament titles, he was head coach of the 2003 squad that won a school-record 30 games and advanced to the Elite Eight. Individually, Kropp coached four All-Americans: Eric Strand, Nick Svehla, Nick Branting and Dusty Jura. This past season, UNK went 18-10 and reached the MIAA Tournament quarterfinals for a second straight season. The Lopers had two first-team All-MIAA selections in juniors Conner Beranek and Ethan Brozek, with Beranek also earning all-region honors. The 2014-15 Lopers had just two seniors in guard Davion Pearson and forward Ben Petersen. The next signing period for Division II men’s basketball is in April. What a GREAT career you have had here at UNK. I hope your teaching years will also be great for you. player for Lincoln Southwest this season. I hope during her basketball days, she has a coach as good as you. I know how much time and stress it can be to be a coach – thanks for being UNK’s successful basketball coach!